Details: This van (or one very similar) was first seen back in December 2007, but it was not identified until a couple of sightings in August 2008. 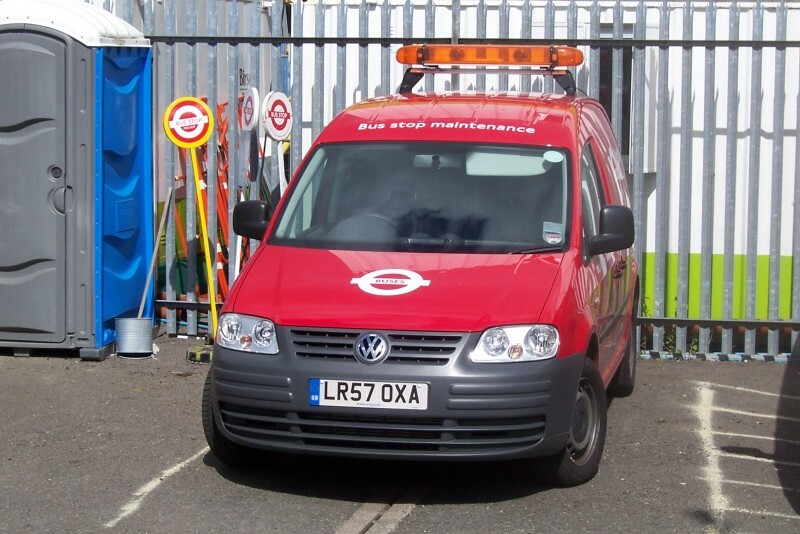 LR57OXA is a Volkswagen Caddy van in full LBSL livery (red with orange squares along the sides and yellow/red chevrons on the rear). It carries a light-bar and lettering for Infrastructure Development. It was photographed in the compound behind Orpington Bus Station on 14th August 2008.